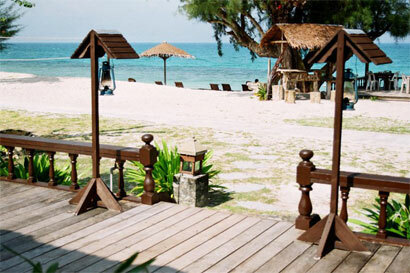 Besar Island (formerly known as Pulau Babi Besar) is an island off the east coast of Johor, Malaysia. 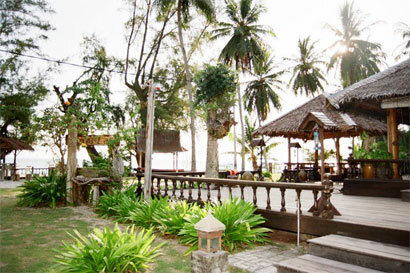 It is accessible by boat from Mersing town (approximately 30 minutes). The island's highest point rises some 2,000 feet (610 m) above the sea level. The island which is surrounded by Rawa Island, Sibu Island and Tinggi Island is characterized by quiet, clean beaches of powdery white sand and crystal-clear azure waters. To preserve the unspoiled marine life, the Government has gazetted it as a marine park to protect around 60 species of marine life from any activities that can harm their natural habitats within 2 nautical miles (3.7 km) around the island. Rich hues of wild vegetations are dappled throughout with the lush greens of the coconut palms and tropical jungles. 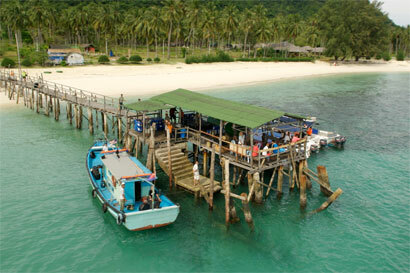 There are about 7 - 8 small villages that are still populated by around 100 friendly dwellers who are mostly fishermen. A local myth was about a fisherman couple who transformed into mermaids. This legend is so popular among the local folks that they believed at one time, a pregnant fisherman's wife was craving for a kind of seaweed, that is plentiful in the Mersing waters. After eating, she turned into a mermaid and the heartbroken husband became one too after eating the same seaweed. Until today, it is claimed that mermaids floating in couples can sometimes be spotted eating seaweed around the island. It is said that this island got its former name, Pulau Babi Besar, (directly translated as "Big Boars Island") from the numerous wild boars that roamed the island before man inhabited the place. 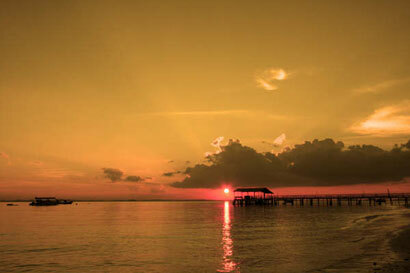 Nowadays, there is not a single boar on the island and thus, the island was renamed as Besar Island. You will see how clear the water as soon as you arrive at the jetty, where hotel staff are waiting to greet you with refreshments and to take your bags. 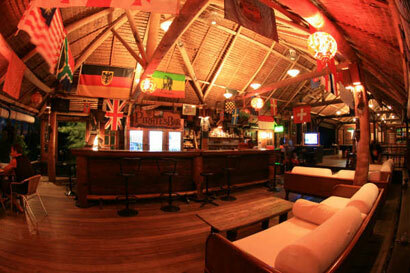 You will reach the bar and restaurant first upon entering the resort. 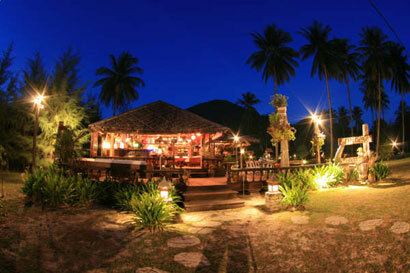 Straightaway, you will be warmed by the island's cosy and laid back atmosphere and charmed by its beauty. 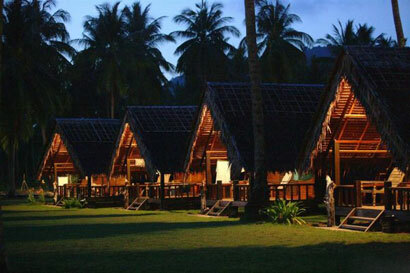 The resort has uniquely designed chalets in the form of A-frame and single- and double-storey wooden huts. All are air-conditioned. 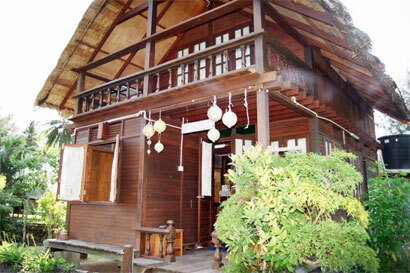 The A-frame hut is the most economical. It can fit three persons with a double bed and a single day bed. 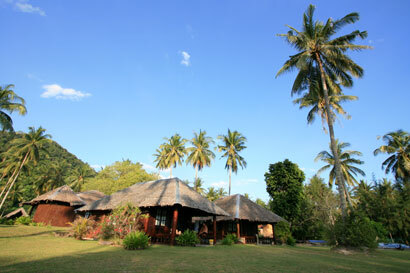 With its kampung ambience, including roosters crowing in the early morning, it is not for those who expects a luxury stay. Clean beds and bathrooms are basically what you will get. Some chalets are further inland but you will still have a view of the sea. All chalets have resting chairs on the outdoor terrace.